If you’re from New Hampshire or spend a lot of time here, you’re probably at least somewhat aware of how much we care about our environment. From laws regarding water quality to strict penalties for littering, we work hard to keep our natural environment beautiful with minimal human impact. With that in mind, NH logging companies have more restrictions than you might think! Read on to learn more about what we watch for, and how we work to keep New Hampshire beautiful. Before we dive straight into the laws, have you ever thought about why the state might care about crafting regulations to protect forests? 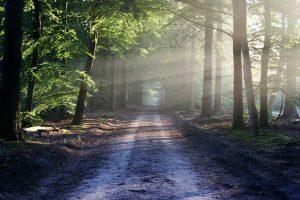 Aside from its beauty and protecting forests for environmental sustainability, there are fiscal reasons to do so. Tourism is the number one source of income for New Hampshire, with forest products close behind with a profit of $1.7 billion. As a prominent NH logging company, we work hard to abide by all posted laws, as well as use our common sense when performing a job. You are not able to start a timber cutting operation unless you have a Timber Tax Certificate, a Notice of Intent to Cut signed by the proper officials, which must include the operation number, the date, time, and name of the official that authorized the operation number. Obeying these laws ensures no tree is removed that shouldn’t be, and that all land use is permitted. 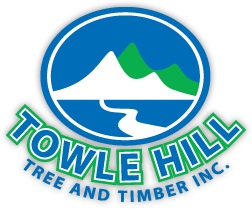 Although it may seem counterintuitive, the professionals here at Towle Hill will always promote healthy forestry and the maintaining of a natural environment. That being said, we also want our customers to be safe and remove any trees that could cause harm. We also support land clearing for projects that are approved by local officials. For more information about NH logging regulations or to make an appointment for a consultation, call (603) 944-1879.